A report on radicalization in the Maldives by a German TV crew who were deported from Malé last week will affect resort bookings, Tourism Minister Moosa Zameer has warned. Speaking to local daily Haveeru, Zameer said tourism was just beginning to recover from a slowdown in the sector following a decline in the Russian arrivals and a brief state of emergency declared here in November. But Germany’s ARD TV’s coverage of radicalization would affect bookings for January and February, he said. ARD is the world’s second largest public broadcaster and is airing a report called “Terrorists in Paradise” next month. The ARD crew were arrested from the island of Himandhoo in Alif Alif Atoll last week and have now been barred from entering the Maldives for 10 years. The four-member team is accused of violating immigration laws, a charge they have denied. 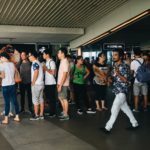 “After a decrease in tourist numbers because of the situation in the Middle East, Russia and the declaration of a state of emergency in Maldives, numbers started picking up recently. 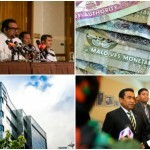 This is aimed at halting growth and improvements,” Zameer was quoted as saying by Haveeru. Germany is an important market for the Maldives, accounting for nearly a tenth of total tourist arrivals each year. 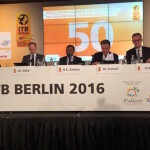 Maldives is meanwhile scheduled to co-host the tourism and trade fair ITB Berlin next March. The crew’s expulsion has sparked outrage, with several German journalists speaking out against the Maldivian government’s actions. #Maldives are guest nation of tourism fair #ITB in #Berlin. They just expelled #German #ARD journalists. Tourism welcome, #freespeech not? More than 200 Maldivians are thought to be fighting with militant groups in Iraq and Syria, including the Jabhat al-Nusra Front and the Islamic State. 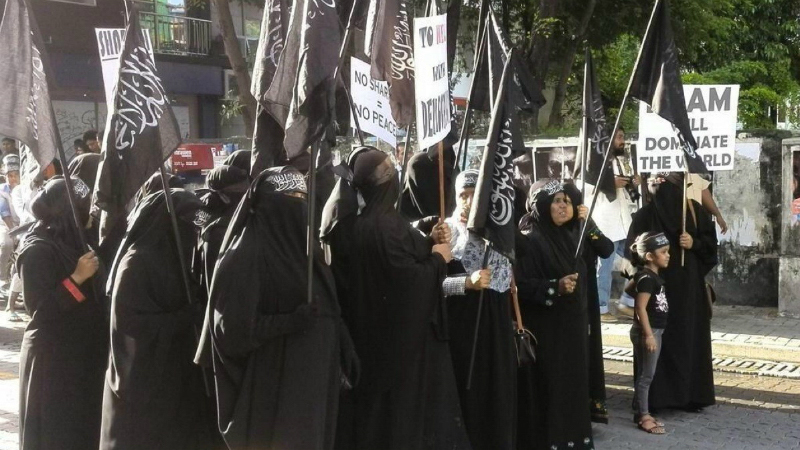 At least eight Maldivian fighters have been killed in battle and local media reports suggest a steady outflow of would-be Jihadis, including entire families and members of Malé’s criminal gangs. The government has passed a new anti-terror law that metes out a jail term of upto 20 years for attempting to leave the country to fight in a foreign war. However, a policy on countering the spread of extremist ideologies has not been made public yet. Meanwhile, Ibrahim Muaz Ali, the president’s spokesman, said Maldivians were behind the TV crew’s actions. “Maldives is famous for its tourism, a sector benefiting everyone. Everyone will be adversely affected if certain groups attempt at damaging the industry for their own political agendas,” he told Haveeru. Neither Muaz nor Zameer were responding to calls at the time of going to press. Sanjay Kumar, an Indian producer working for ARD, denied allegations of defaming the Maldives. “If you look at our past record, you would see that we have done programs on the beauty of Maldives and how it is a progressive tourist destination. Even in 2013 we visited Maldives and took footage in many islands and resorts,” he said. The TV crew had been in the Maldives to film for a range of stories, including on climate change, guesthouse tourism, radicalization, and the jailing of former President Mohamed Nasheed. 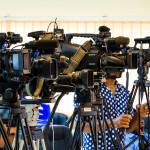 In an opinion article for opposition aligned newspaper Raajje TV, Kumar said: “The main reason the ARD team was humiliated and its journalistic freedom was violated is because the ruling dispensation in Male was afraid of the people’s outbursts, they feared that the German national broadcaster would come to know how people in the country are feeling chafed by a dictatorial regime, how the Islamic radicalism is trying to kill the free spirit of the citizens, how the collusion between the regime and religious extremists is prompting some youngsters to leave for Syria and join ISIS.